Contact Broward County, Florida Uber Accident Lawyer Gerson & Schwartz, P.A. Uber and similar ride-sharing services have changed the way that many people get from place to place in South Florida. Using an app to call a ride within minutes is extremely convenient for Fort Lauderdale residents and tourists, while using personal vehicles to make extra money is beneficial to Uber drivers. At Gerson & Schwartz, PA our Fort Lauderdale Uber accident lawyers have represented numerous passenger and pedestrians in Uber accident cases. At the law firm of Gerson & Schwartz, P.A., our legal team helps victims of Uber accidents find solutions to recover for their losses. All of the benefits of Uber do not mean the system is perfect, however. After all, there is still the risk of a crash like any other time someone drives a motor vehicle. When you are seriously injured by an Uber driver, the question arises: who is responsible for your medical bills and other related losses? 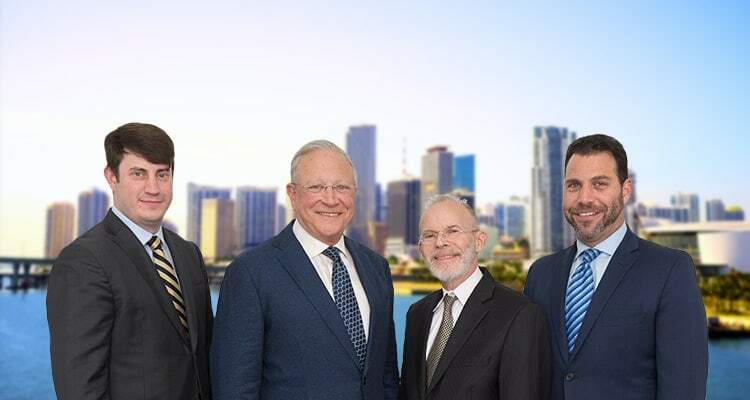 At the law firm of Gerson & Schwartz, P.A., our Uber accident attorneys serving Fort Lauderdale help victims find solutions to recover for their losses. Under regular circumstances, the victims of any of the above accidents would generally seek compensation from either their own personal injury protection (PIP) insurance and/or the insurance company of the driver. However, there are many potential problems that may arise regarding insurance and liability in Uber accidents. Most auto insurers will not pay out on personal policies if the driver was using the vehicle for profit or commercial activity. Therefore, the personal coverage of the driver will likely deny coverage. Your own PIP insurance coverage may be a help, however, most of these policies max out at $10,000 or another relatively low amount. These policies are generally inadequate to cover costly medical bills that result from serious injuries. In addition, if the injured victim does not drive, they may not have any coverage at all. Uber has claimed that it will voluntarily carry coverage for accidents and injuries involving its drivers up to $1 million. Unfortunately, there is no way to require Uber to cover a particular accident or injury or to even require them to have this amount of coverage. Because of these complications, it is imperative to call a skilled Uber accident lawyer in Fort Lauderdale who has specific experience handling Uber accident cases. There is a way to obtain compensation for your medical bills, lost income, and other losses, and our attorneys will devise a legal strategy that works for you. At Gerson & Schwartz, P.A., we know how important Uber is to many South Floridians and we have also seen how serious Uber accidents and injuries can be. We are here to help you seek financial recovery for all of your losses following a collision, so please contact our Uber accident lawyers for a free consultation.